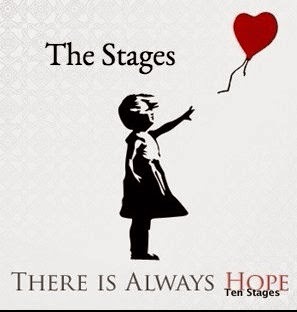 The Ten Stages seeks to understand in the terms of the child within the trapped “Traumatic reenactment”it is the term we use to describe the lingering behavioural enactment and automatic repetition of the past. The very nature of traumatic information processing determines the reenactment behaviour. The traumatised person is cut off from language, deprived of the power of words, trapped in speechless terror. Trauma demands repetition – what Pierre Janet, Freud and so many others observed when they noticed the compulsion to repeat evident in trauma survivors. As Freud wrote, “He reproduces it not as a memory but as an action; he repeats it without, of course, knowing that he is repeating... he cannot escape from this compulsion to repeat; and in the end we understand that this is his way of remembering”.